The scientific community, including our members, is driven by a shared commitment to improve vaccine technologies and prevent or treat infectious diseases, such as HIV/AIDS, malaria and dengue, which continue to threaten public health across the world. The development of new vaccine technologies is driven by sustained investment in innovation coupled with the unwavering dedication of the scientific community, including our members. We are committed to bringing these critical advances in vaccine technology to market to not only prevent the re-emergence of infectious diseases that have been successfully controlled by immunization, but also to ensure that the global community is prepared to tackle current and future threats. The miracle of life-saving vaccines is made possible by ongoing innovation and scientific ingenuity in public and private research institutions and organizations across the world. Our members are uniquely placed to extend the benefits of scientific innovation to communities all over the world by bridging the gap between breakthrough discoveries and revolutionary vaccines. The world’s first vaccines against malaria and dengue were licensed in 2015. 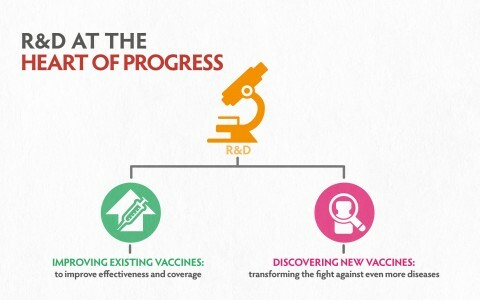 Our members are continually working to improve vaccines by protecting against more diseases and disease strains so that they can confer improved protection to individuals and communities, creating new formulations, combining vaccines to make it easier to reach people, and exploring new technologies that help vaccines work better. We are committed to developing new vaccines to tackle major global public health challenges to reduce the burden of malaria and dengue, and curb the threat of Ebola. step to reach every child, adolescent or adult who needs to be vaccinated. Our members are working to ensure that no one is denied immunization protection due to a “roadblock” on this final part of the journey. 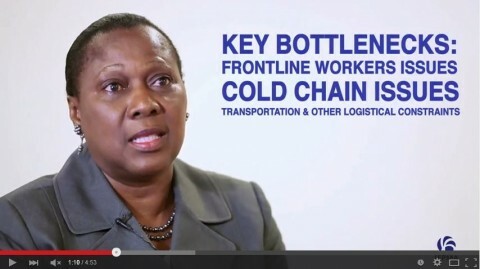 In an effort to address the “last mile” challenge, our member Sanofi Pasteur is upgrading the labeling of its cholera vaccine SHANCHOL® to enable its use in a controlled temperature chain during the last mile in vaccine delivery. A big step in facilitating outreach administration, data has been approved by the national authority and a WHO review is underway. 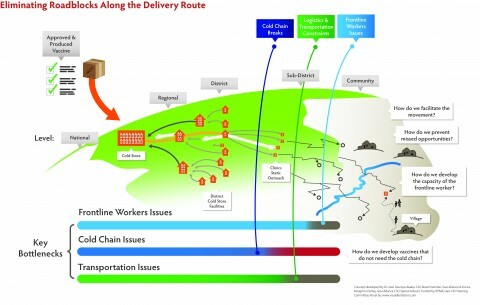 This is just one example of many ongoing initiatives to tackle the “last mile” issue.